Earth's End: Earth's End at Armageddon Expo Auckland 2016! Earth's End at Armageddon Expo Auckland 2016! 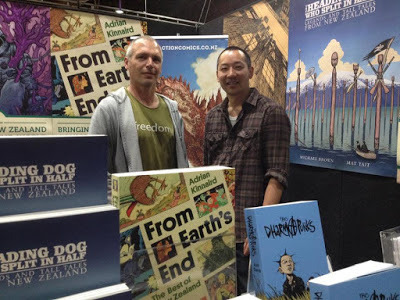 Above: Cartoonists Mat Tait (The Heading Dog Who Split in Half) and Ant Sang (The Dharma Punks) at Armageddon Expo. This Labour Weekend Earth's End Publishing will be appearing at Armageddon Expo Auckland, the biggest pop culture event of the year! Taking place at the ASB Showgrounds over four days - October 21-24th, we'll be representing and selling graphic novels from New Zealand's finest cartoonists! Above: Mansfield and Me by Sarah Laing. 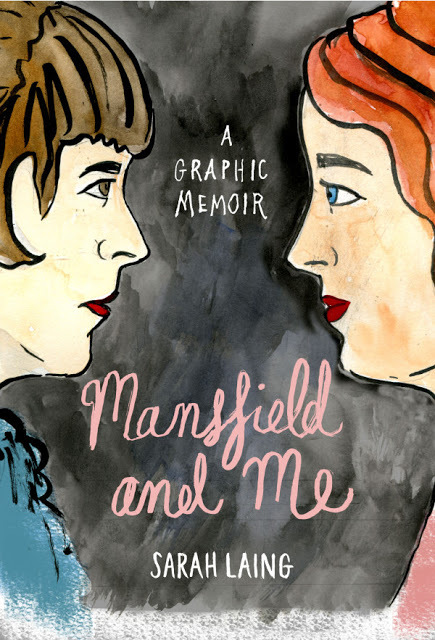 Fresh off the press, we'll have copies of Sarah Laing's new graphic novel, Mansfield and Me. Presented in stunning watercolour, Mansfield and Me charts Sarah's journey towards becoming a writer and parent against her literary hero Katherine Mansfield's own dramatic life story, set in London, Paris, New York and New Zealand. Part memoir, part biography, part fantasy, it examines how our lives connect to those of our personal heroes. Above: Terry Teo and the Gunrunners by Bob Kerr & Stephen Ballantyne. 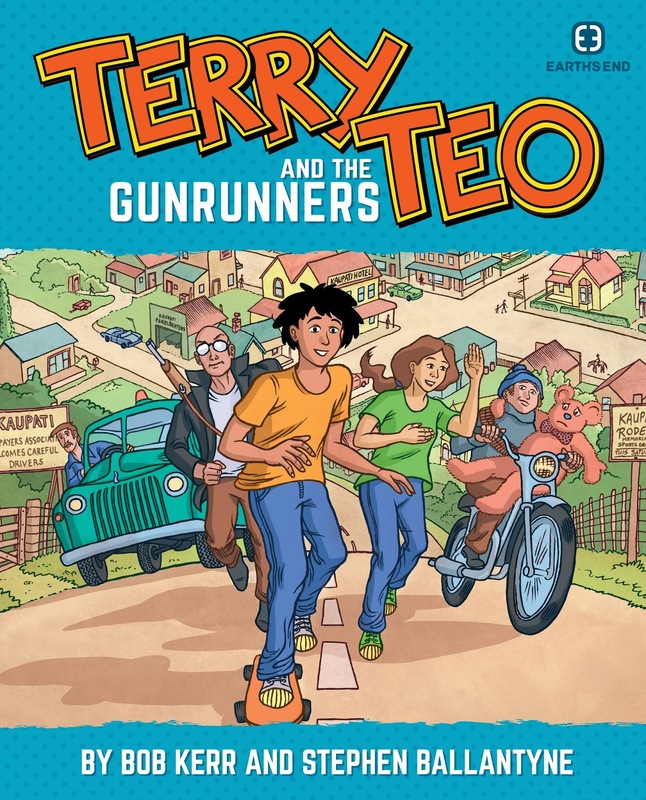 We'll also have copies of Terry Teo and the Gunrunners by Bob Kerr & Stephen Ballantyne. This remastered edition of the original graphic novel that started it all comes with an exclusive 'History of Terry Teo' section: detailing the making of the comics, behind the scenes of the classic 1985 TV series, and the latest TV adaptation Terry Teo - currently streaming on TVNZ Ondemand HERE! Above: The Heading Dog Who Split in Half: Legends and Tall Tales From New Zealand by Michael Brown and Mat Tait. 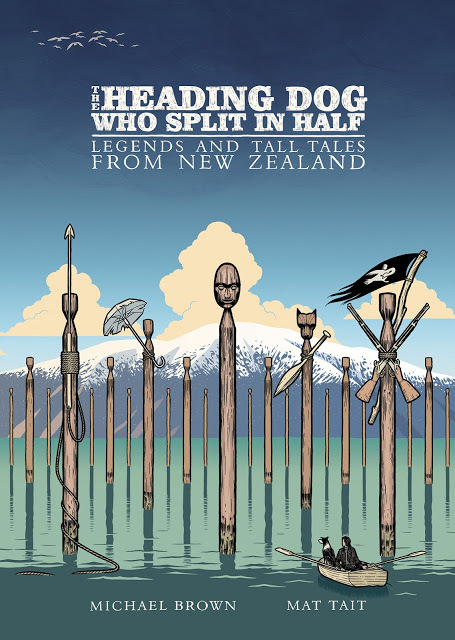 A great kiwiana read, The Heading Dog Who Split in Half: Legends and Tall Tales From New Zealand by Michael Brown and Mat Tait will also be available. This gorgeous over-sized paperback collection adapts some of New Zealand's rich folklore and weirdest tall tales into comics form. A place of phantom waka, ruined castles, romantic escapades in the early whaling days, magical sheepdogs, gargantuan crayfish and more are all captured in Tait's densely detailed and atmospheric artwork. Above: The Dharma Punks by Ant Sang. 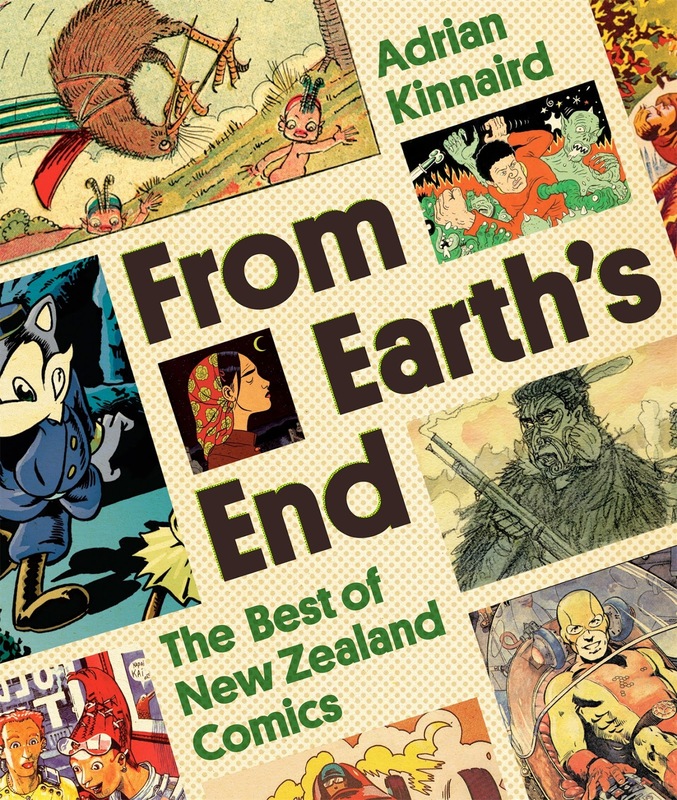 And if you haven't got a copy of Ant Sang's landmark graphic novel The Dharma Punks or the jam-packed collection From Earth's End: The Best of New Zealand Comics by Adrian Kinnaird, your bookshelf is not complete! Look out for a special prices and the opportunity to get your hands on a signed copy! 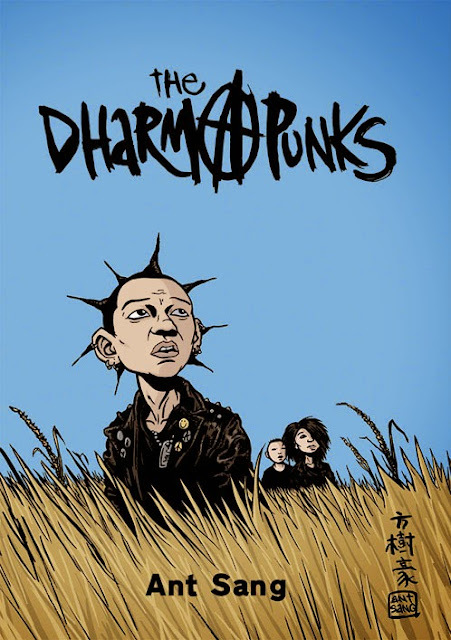 Ant Sang - The Dharma Punks, Shaolin Burning, Bro' Town: Saturday only. Mat Tait - The Heading Dog Who Split in Half, The Flying Dutchman: Saturday and Sunday. Adrian Kinnaird - From Earth's End: The Best of New Zealand Comics: Friday, Saturday, Monday. Kelly Sheehan - The Inhabitants, Into the Dark Woods: Saturday, Sunday, Monday. So if you love local comics, be sure to stop by, pick some up and have a chat. We look forward to seeing you there! For more information on Armageddon Expo, visit the official website HERE.